With Persona 4 being so important to me, it’s no exaggeration when I say I had sky high hopes for Persona 5. Persona 5’s long and rewarding journey definitely managed to pass and even exceed my expectations, with a deep JRPG story that stole my heart thanks to a masterful balance between deep gameplay mechanics and the rich narrative being the best the Persona series has seen yet. 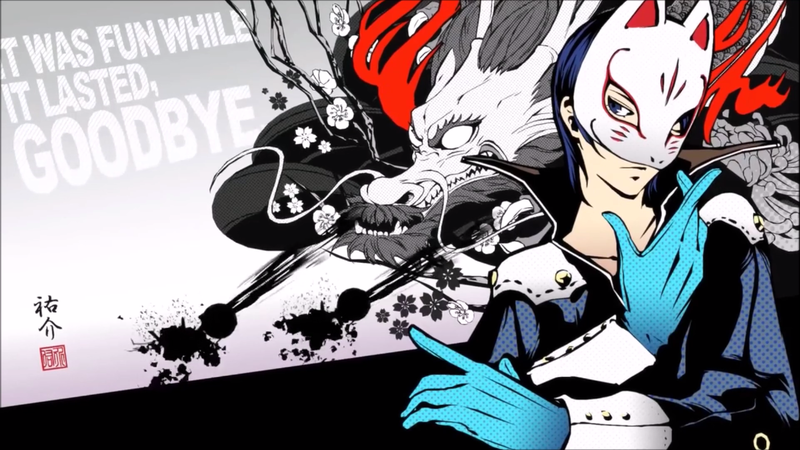 If you’re like me and missed balancing school life, rich dungeon crawling, a great JRPG story and fulfilling relationships on an in-game day-to-day basis, Persona 5 has all of this in a stylish 100+ hour experience that is a standout entry in the series and in the JRPG genre. Persona 5 begins in typical Persona fashion. Between strange dreams about Velvet Rooms and being granted special powers, you’re a transfer student entering a new town ready to start your new life and not get in too much trouble, especially since you're on probation. This is until it comes to light that a bunch of important individuals in Tokyo are corrupt and as part of the special powers granted, you’re required to partake in a rehabilitation that tasks you with removing their distorted desires by stealing them directly from their hearts. After discovering other worlds in the form of Palaces on the way to school, finding out how to use them for your goal and meeting a talking cat, it's time to become an after school Phantom Thief and change hearts by conquering dungeons with your friends. Yes it's a pretty outlandish premise, but detailed story-telling makes it a gripping tale that kept my attention for the entire journey. 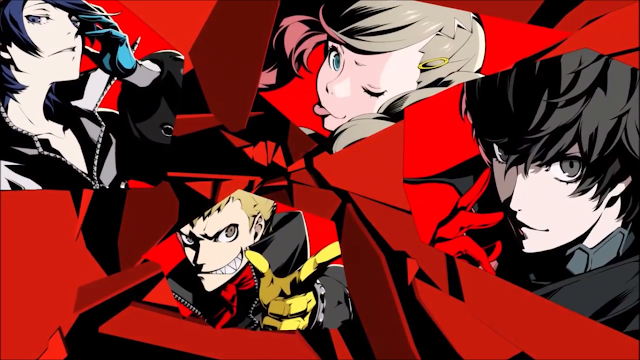 The unique premise is brought to life by Persona 5’s wonderful cast of characters that are all outcasts in their own way. 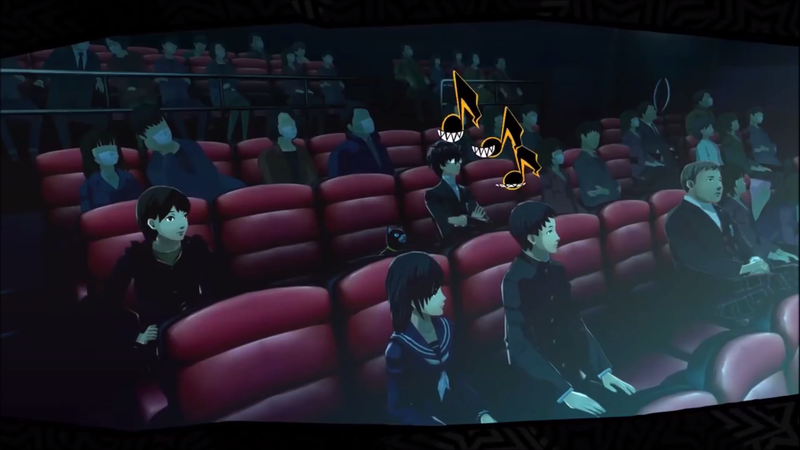 Each character has their own perspective and personality, such as the quirky artist Yusuke or the kind but feisty student council president Makoto, and thanks to each character's own hardships their motivations are very easy to get behind. Even comical and potentially trope-y characters such as Ryuji have shining moments that add depth to their archetype and while I loved the characters in Persona 4, the depth of Persona 5’s made me connect to the group instantly. It’s great Persona 5’s cast is so good, as a big part of Persona is spending time with your friends and raising your Confidant relationship rank with them. The social mechanic from previous Persona games is updated to give much more benefit than just a little boost in Persona strength; Confidants provide skills that help the protagonist in his journey inside and outside of dungeons, skills so useful that they’re essential to using your time in Persona 5 wisely. 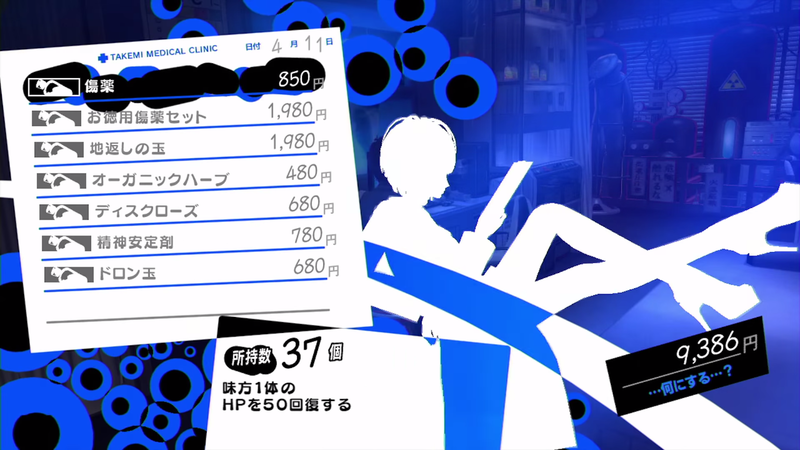 These skills introduce a layer of multi-tasking to Persona 5, as you can get your friends to do things for you, such as grow SP restoring items or make lockpicks for treasure chests while you run around the buzzing city of Shibuya doing other things to aid your journey as a Phantom Thief. It’s an appropriate step up for Persona’s already engaging time management aspect, and heightened the experience I love about Persona of trying to make the best of it’s large, yet limited amount of in-game days. Persona 5 isn't just full of social mechanics though. There are more day to day activities than ever to partake in when you’re not busy conquering dungeons in the journey to make the protagonist a better person by raising social stats such as his guts, knowledge and charisma. In the quest to raise your social stats that affect what you can do in daily life, you have many choices such as going to Shibuya and going to cafes to raise your knowledge or charm or eating big burgers to raise your guts. You can see movies about love to raise your kindness or go home and play a challenging video game to raise your proficiency (yep. Meta). The balance of dungeon crawling and everyday life is a big part of Persona 5 and with so many things to do and people to see, the choice of saving the world today or tomorrow is a bit more difficult, but all the more fun to think about. All of Persona 5’s fun social mechanics come together when using their benefits while dungeon crawling to steal hearts and fix the world. Persona 5’s dungeons are a little different to previous Persona games, with Persona 5’s use of set story dungeon layouts as opposed to the randomized ones of the past working well to making the overall experience more interesting and also make it better for storytelling. Instead of just making more complex dungeons, Persona 5 adds in platforming, puzzles and even a few stealth elements to make things more complex. It succeeds, with combinations of these elements making no two dungeons feel the same. The addition of these elements make Persona 5’s dungeons reflect its stylish nature and make it one of the most interesting dungeon crawling experiences I’ve ever had. I found myself in awe on multiple occasions by some of the challenges I faced, whether it be putting together a picture puzzle of an important plot point or switching between being human or mouse to get through an intricate area. Working them out felt interesting and rewarding, on top of destroying shadows in battle. Speaking of battles, Persona 5 doesn’t stray too far from the battle system featured in Persona 4, but it does make it more polished and adds in a few things from old Persona games to make it the series’ best yet. 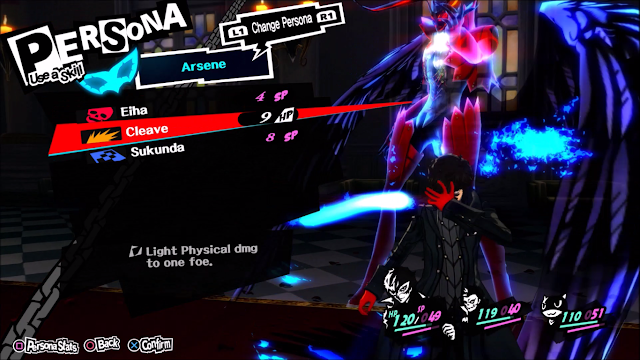 A bunch of nice shortcuts have been added to help you choose between using your Persona or attacking directly really easily, along with the incredibly convenient assist button that automatically chooses the best attack to hit an enemy’s weakness if you have it. The most interesting addition to battle is the Demon Negotiation, which allows you to do talk to demons to get items or money or even make them join your own roster of Personas. While it can be pretty hard to tell what will make each particular Persona happy, it ends up being an amusing little trial and error game to break up turns in battle. Whether it be asking for money or suggesting a knife game to a cute Pixie to try make her join your team, the Demon Negotiation is a touch that suits the Phantom Thief motif, adds what feels like a monster collecting mechanic and is a cool throwback to past Persona games and its Shin Megami Tensei roots. Partnered with a polished version of its usual battle system, Persona 5 is the best of old and new. Adding to the running theme of Persona 5 improving on all important aspects of Persona, the Velvet Room has also been improved with little things that makes fusing Personas easier. The Fuse By Persona option allows you to sort by Arcana or Level and scroll down the list of Personas you want to create, as opposed to showing a bunch together and checking the results before committing. It sounds small, but it speeds up the process of Persona fusion a lot and just feels much simpler, even though there are so many Persona possibilities. Also added are a bunch of new things you can make and do with Personas. They unlock slowly throughout Persona 5, so I don’t want to say too much, but there are ways to get items and even some network features in there that add more choice to what you can do with your Personas and with so many Personas to collect, it’s cool to have the option to do more with them. While Persona 5 is full of big changes in its dungeons and good small quality of life upgrades in other mechanics, it also adds plenty of small details that make the experience just that little bit cooler. I got so many kicks out of getting my protagonist to watch a movie and hearing the little pieces of dialogue, putting into button combinations while I made him play video games and choosing which type of person I wanted to talk to at one of his part time jobs. It’s these kinds of small details partnered with the changes to some of my favourite features that reminded me why I fell in love with Persona - it connects so well with me on so many levels and these little features made this all the more stronger. These details are heightened further by a fun jazz infused soundtrack and strong voice acting throughout. There is thought and love put into every small aspect of Persona 5 and it really makes the experience shine. I only left Persona 5 with one small gripe and it’s that the transition from PS Vita to home console isn’t a perfect one when you factor in save points. There were plenty of long dialogue moments that were hard for me to witness in full in one sitting if I was playing just before work or sleeping, and I found myself putting my console into rest mode so I could resume from where I left off more often that I'd have liked to. In saying this, it’s also something I can see effort was put into making better, with players being able to save anywhere on the streets of Tokyo most of the times and a mostly good amount of Safe Rooms to save in during dungeons. The lack of save points in long cutscenes is something I don’t know how they could fix, as littering cutscenes with save spots would probably be annoying, but it’s a problem I never had with the Vita version of previous Personas. However, between better graphics, decently fast load times and gorgeous anime and in-game cutscenes, Persona 5 does sit pretty well on the PS4 (and the PS3 version has okay load times too from memory) and in the end, the slick experience fits pretty damn well enough on a current gen console. Persona 5 may not have released on Valentine’s Day as it planned to, but it definitely stole my heart with it’s deep JRPG gameplay and characters worth spending over 100 hours with. I really enjoyed running around Shibuya and choosing what I wanted to do, whether it be running through the interesting dungeons or making meaningful relationships with complex characters. Persona 5 manages to improve on its already great JRPG battle system and its tried and true gameplay formula. What it adds to the experience in new mechanics only heightens it, with it being the most polished Persona game and JRPG of recent times. I’m already itching to go back and see where different dialogue choices will take me, and it’s addictive high school dungeon crawling lifestyle was well, well worth the wait and is a must for any JRPG fan looking for a long fulfilling experience. A highly worthy Phantom Time Thief that is a must-play for big fans of JRPGs and Persona. What did you think of Persona 5?